Or you could just give up and go home. And if you’re feeling loved-up, here’s a new word, to winch (to kiss, to court, in Glasgow slang). 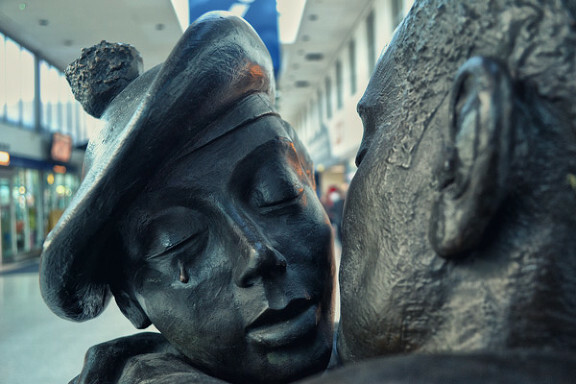 The image of lovers meeting at the station is from the statute Glasgow Buchanan Street, Wincher’s Stance, by the appropriately named John Clinch. ‹ sounds British? Save our Sounds!